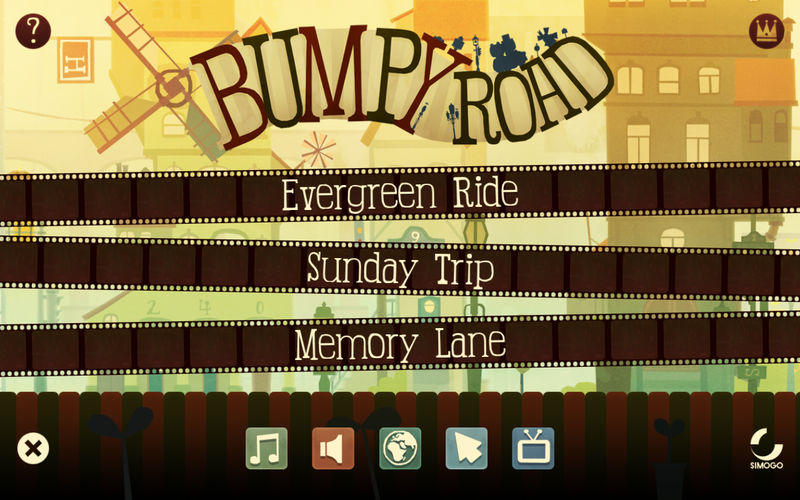 A new Bumpy Road iOS update is out in the app store! Does it add striped giraffes, crying clowns, party all over town and dancing shoe blues? Not quite. But almost! If you have Clear (and if you haven’t we suggest you go get it, it’s our favorite to do and idea scribble app), and Bumpy Road installed on your iPhone, this update unlocks a nice looking color theme in Clear! 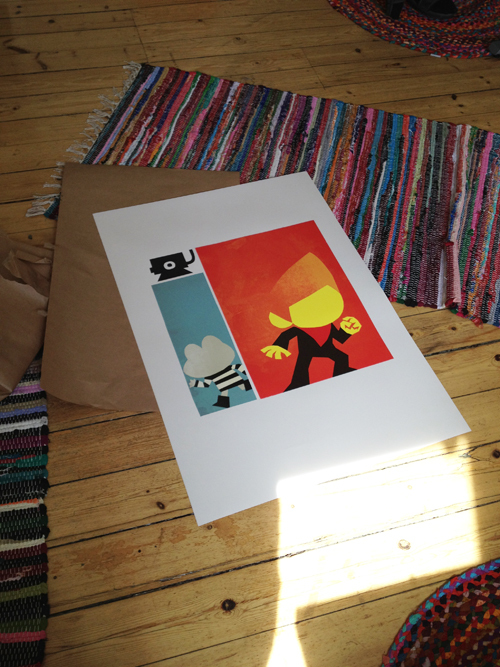 We just a need a little frame and our wall will look super lovely. New wallpapers! For your computer machine and for your apple telephone and the other one without telephone features and also the one that is the the same as the one with missing telephone features but with a big screen. 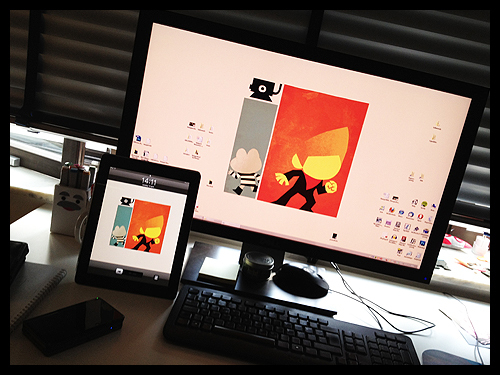 Head over to Beat Sneak Bandit’s mini site and do the d-d-d-d-d-d-download shuffle! 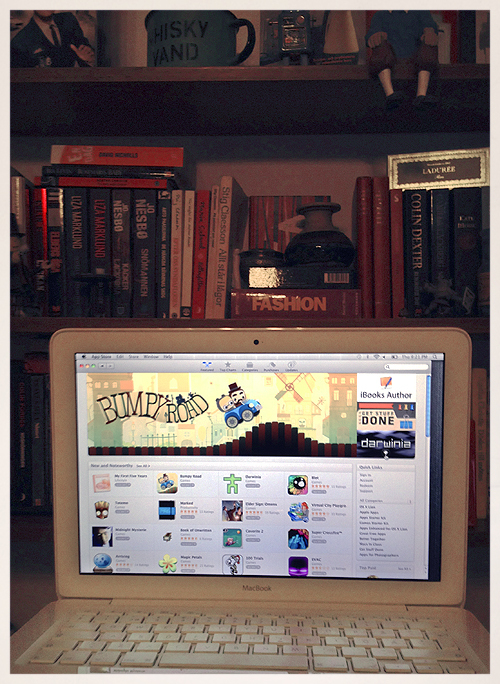 Bumpy Road featured in Mac App Store! 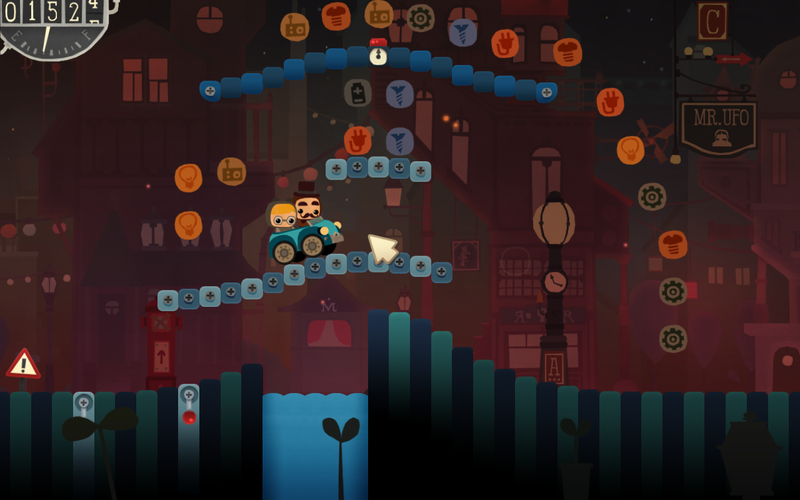 Bumpy Road now available for Mac! 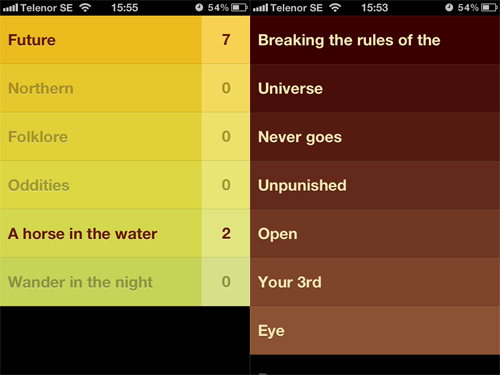 History in the making – Simogo’s first non-iOS release! 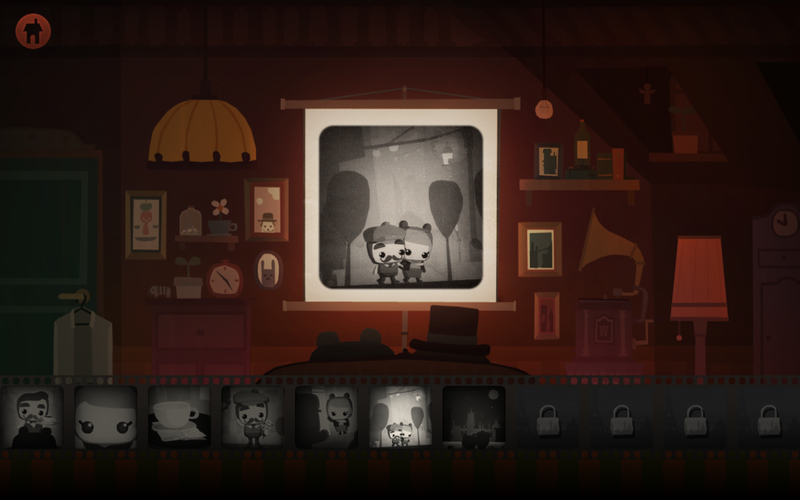 – Game runs in all kinds of resolutions and aspect ratios, and it looks especially lovely in widescreen (check out how we added a bit of more space in the Memory Lane room!). It’s very yummy in high resolutions on big screens! – It’s of course controlled with a mouse and not the touchscreen. We’ve also added support for bumping with CTRL, SHIFT and SPACE, which is kinda nice when you’re playing with a touchpad on the laptops (although we do recommend playing with mouse!). – You can change the mouse cursor to an icon that suit your taste! Check out and clickwicky pictures below to see how nice the Mac version looks! All right! That’s it. 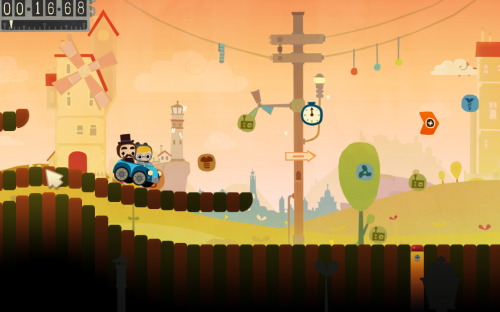 Run to the Mac App Store and get it now! Bumpy Road for Mac: April 12th! 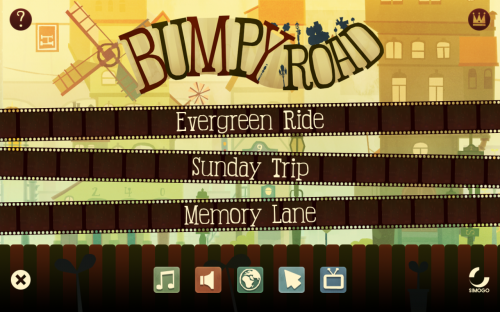 Bumpy Road will be available in the Mac App Store on April 12th! 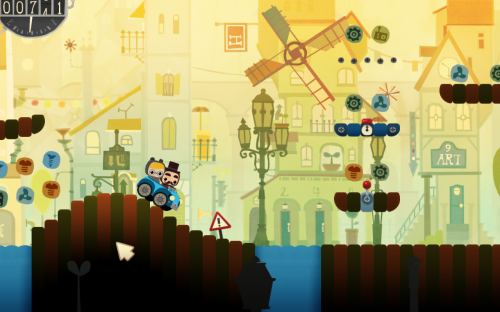 Simogo is proud to announce FLYING BANDIT! 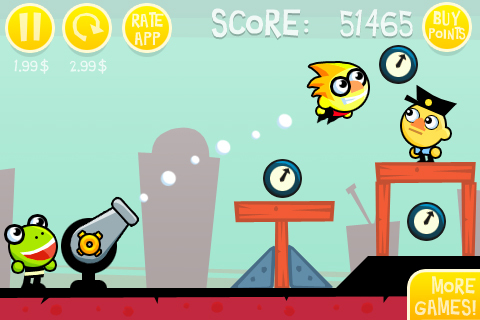 SIMOGO IS PROUD TO ANNOUNCE INNOVATIVE PHYSICS PUZZLER FLYING BANDIT! An all new FREE TO PAY chapter in the Bandit saga – Once again the clocks are stolen by the Duke Clockface and it’s up to Bandit and his pet frog Herbie to bring their canon to get them back! – Over 3 Levels of random luck based fun! – All new family friendly graphics! – Realistic physics made possible by Simogo’s physics engine Underwater Movement Technology! – Great in app purchases: Retina support, Game Center support, Virtual D-Pad Support and more! – Buy points to skip levels – Don’t spend your precious time playing games! PLEASE NOTE: this game has not been tested on any devices.